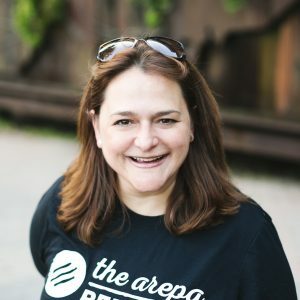 Veronica is a co-founder of The Arepa Republic, the first Arepas food truck in Canada. She is responsible for the business & marketing strategies, the advertising & communication initiatives, as well as the client service for the food truck and the new front store. In parallel of her own business, she has been a Senior Product Manager in Telecommunications companies in Canada and Venezuela developing and managing successful internet and video products experiences in both markets. Veronica holds a degree in Chemical Engineer and a MBA. What she enjoys the most is her family who are the force of her engine.